It's pretty amazing what you can create by folding a piece of paper in a million different ways. 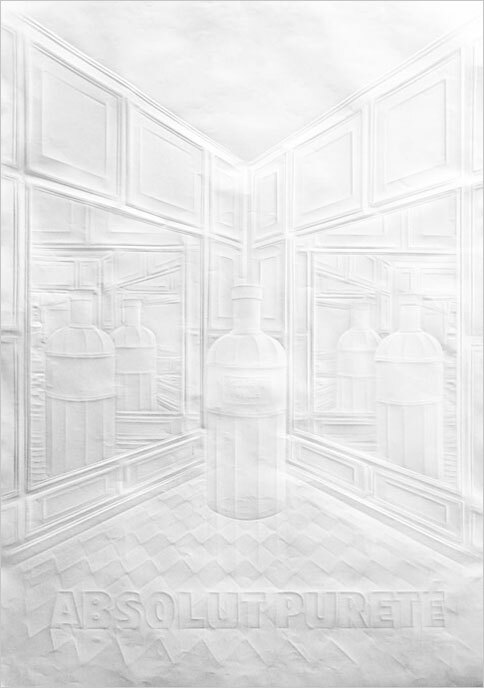 I'm not talking about Origami - but a carefully orchestrated image of Absolut's limited edition "Absolut Purete" Vodka. Artist Simon Schubert used nothing but light and shadows by making over 1,000 different folds into the paper, each fold capturing a different shadow to illustrate depth and dimension.